Welcome to Hudson Valley Knits, a knitting vlog from my home in the Hudson Valley NY. It’s a very rainy day here so again I must podcast inside. I hope you enjoy my new cast ons and a fun recap of the NY Sheep and Wool Festival in Rhinebeck NY. It was a great time. Make sure you watch to the end for my husband’s recap for a non wooly recap. Hi everyone and welcome to the Hudson Valley Knits Podcast! Today I am podcasting from my home in the Hudson Valley. Hope you enjoy hearing of my project updates and also some updates on my move. Please see my Ravelry Project Page for details on all my projects. 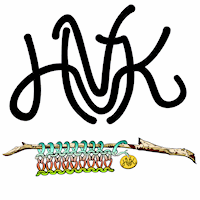 Welcome to Hudson Valley Knits Podcast! Today I am podcasting at Steamboat Dock in my hometown. Lots of progress so come join me. It’s time for the annual NY Sheep and Wool Festival (otherwise known as Rhinebeck) recap! Today I am posting from Senasqua park in Croton-on-Hudson, NY. LuLa Roe and Kristi Moore who is an independent consultant for them. She has a closed group on FB but that is only to protect from spam. Please ask to join!